Though this blog is meant for mini militia, we all do have a general interest and craze over gaming. When it comes to PC gaming, there are few accessories which are dedicated for the high end gaming experience. One such accessories is the gaming mouse. So we have decided to create an unbiased review in hunt for the best gaming mouse in India. 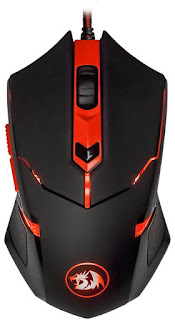 The post is structured based on the prize of the gaming mouse along with it's pros and cons. Before we jump into it let's understand the basic difference between the different types of mouse. All the mouse types falls under the three basis categories. It’s an ancient mouse used before ages. Its consists of a ball and 4 sensors like electromechanical transducer to track the user movement direction. And correspondingly the cursor is moved on the screen. As the name suggests it works based on the optical technology that uses a light-emitting diode an optical sensor, and digital signal processing (DSP).This mouse doesn’t have mouse ball and electromechanical transducer. Movement is detected by sensing changes in reflected light. It is mostly similar to the optical mouse, instead of LED it uses a laser to track the movement of the mouse on the screen. The gaming mouse that we are about to discuss falls under this category. Before we invest our valuable money on any stuffs, it's our responsibility to choose the cheap and best product. Same holds good for a gaming mouse as well. So the next question on your mind will be "How to select the best gaming mouse?" Well we are here to explain it in detail. 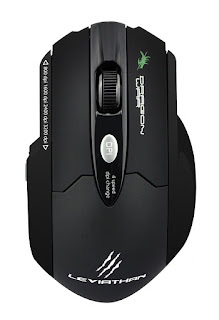 Following are some of the factors that you need to consider before buying a gaming mouse. Sensitivity is normally the measure of mouse accuracy. Generally, the resolution is measured in Dots per Inch (DPI) or Counts Per Inch (CPI). It’s a ratio which determines how many points the cursor moves on the screen per inch. Obviously, the resolution is directly proportional to the sensitivity of the mouse. Sensitivity can be the measure of accuracy up to some extent, it's like we require high sensitivity for high-end gaming. Like for gaming purpose, we required 1600 DPI to 3200 DPI and for another normal purpose such as browsing 800 DPI to 1600 DPI is well and good. Polling rate is the rate at which the computer is updated with the position of the mouse pointer. The default Windows polling rate is at 125 Hz, This fully depends on the clock speed. Which means mouse sends signal PC once every 8 milliseconds, or 125 times a second, exactly where the pointer is located. Depending on the pooling rate the cursor will be resolved on screen. Due to advancement in technology all gaming mouse, these days have a polling rate of 1000 Hz (1 ms), so it's not a big deal. In case of gaming, only two sensors are widely used namely infrared sensors and laser sensor. The main difference between these two is in terms of resolution. Laser sensors having much higher DPI/CPI. infrared sensors are consistently good for their stability as well as control and accuracy. Laser sensors are sensitive to dust need extremely high uniform surface tend to cause more jitter and problems when under high acceleration. Very expensive and specialized hard surfaces are a must if you wish to use laser mouse. Infrared sensors, on the other hand, work well on cloth mats and are more tolerant to dust, debris, and surface irregularities.They track well under extreme acceleration all these advantages in cheaper cost. The most important part of the mouse is its sensor. 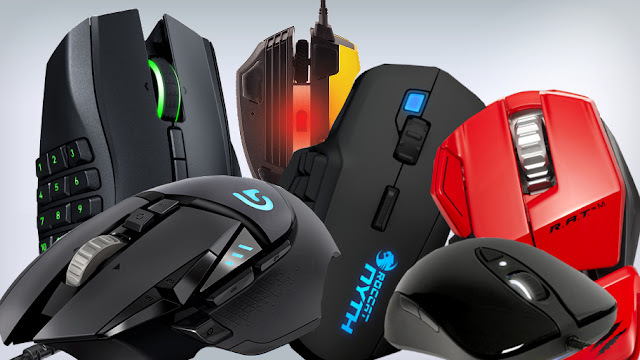 Most gaming-grade mouse has laser or infrared sensors from either Philips or Avago. Due to this, the levels of performance and features from competing brands are similar. As far as gaming is concerned Wired mouse is the best,because the normal length of the wire is around 1.8m this enables to the easy and fast transfer of data without any time lag. In the case of wireless mouse, there is a time lag for the signal response nearly around 0.5 ms. It will affect the polling rate of the mouse. So these are the major factors that decides the quality and performance of a good gaming mouse. Now let's start the review of the top selling gaming mouse in India based on their prize. I have categorized it into 3 different price ranges like "best gaming mouse under 1000, 1500 and 2000 rupees. Let looking into it one by one. Dragonwar Gaming mouse are reliable when compared to other big brands. These are build one and only for the purpose of high thrill gaming. The structure of the mouse itself seems quite catchy. Gaming mouse with 8 control buttons. Each of them it's individually programmable based on the user needs. Cable length of the mouse is 1.8 meters. An optimum cable length for easy transfer of data without any lag and to provide sufficient degree of freedom. Suitable for almost every surface because its has exotic laser sensor which tends to increase the accuracy when compared to the other mouse in this range. Special gaming laser sensor with revolutionary 3200 dpi. Pointer speed can be changed with a click of a button by programming the extra button. It is pretty big and comfortable in my hand. Amazingly,it even works on glass. To change DPI is quick and easy. The color of the scroll wheel light color changes according to the DPI. 1600 dpi-Dark blue color.This setting is most suited for our day to day use such as surfing the in internet. For games such as Witcher 3, it can be used for exploring the surroundings. 2400 dpi-Red color. As we already know as the resolution increases the accuracy increase when compared to the previous settings the speed increases this can be used during combat. Cable length of the mouse is1.8 meters. An optimum cable length for easy transfer of data without any lag and to provide sufficient degree of freedom. The positioning of the two extra buttons is so economic and it doesn't come in your way,sometimes it’s uncomfortable. It does not have a Built-in software to program the buttons, but third-party software can be used to program the buttons such as XMOUSE BUTTON CONTROL. LEDs is a distraction because of their brightness. Not good in dark gaming sessions. Not suited for left-handed gamers. 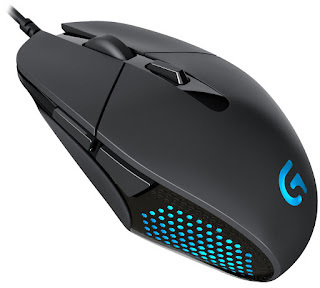 Logitech G90 is at the second our in our best gaming mouse under 1000 rupees gallery. 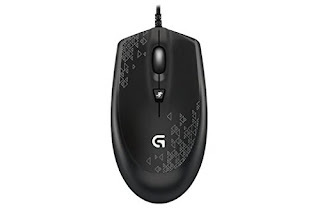 Logitech gaming mouses are high performing mice which is top rated in the amazon marketplace. 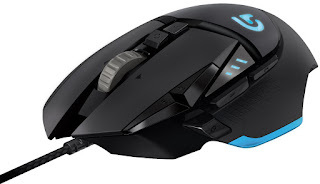 Let's see the general description, pros & cons about this Logitech G90 Gaming Mouse. Its DPI switch has 3 different settings which can be easily controlled or changed while playing the game by using by using DPI shift switch which is behind the scroll wheel. The mouse is designed in such a way that it fits both left and right handed people. Its size is small. So it is well suited for gamers with a small hand. It has a wonderful finish which increases the grip too and gives it a classy look. It supports otg enabled devices too. It’s a palm grip based mouse suits well for palm grip type players. It has low report rate of 2 milliseconds when compared to another mouse in the same category but it's not a big deal. It is not suitable for claw grip players. Mouse scroll sound is sometimes annoying. So far we have seen two of the best gaming mouse under 1000 rupees. Though they are cheap and affordable the performance would not be to the mark. So it is obvious that higher the price of the gaming mouse, better will be quality and functions. The following two are the most selling gaming mouse under 2000 budget. On-the-fly dpi shifting helps to toggle between 4 DPI settings from 240 DPI to 4000 DPI. The metal spring button tensioning system helps to receive multiple continuous clicks without the button being damaged and it also increases the response time because of the spring system used in it. This mouse designed especially for gamers to perform well for maximum play time compared to the other mouse its light in weight. The durability of switches tested to 20- million clicks. Gaming mouse with 6 control buttons. Each of them it's individually programmable based on the user needs. Logitech Gaming Software is required to program the buttons. Its DPI switch has 4 different settings which can be easily controlled or changed while playing the game by using by using DPI shift switch. It can be programmed based on the user requirement by using Logitech Gaming Software. It extremely feels comfort in the hand,and mostly suited for persons with small hands. The LED is a added advantage to the mouse which Looks very nice especially in low light. Surprisingly,this mouse is designed for both claw grip and palm grip ,like claw/palm hybrid grip with that diamond shape of its body which works great for persons with normal hand and small hands. The sensor can track the movement in high acceleration too . This diamond shape body is suitable for both left and right-handed gamers. It has onboard memory storage for your DPI profiles which is very useful to import similar setting to another system. It has a polling rate of 1000-1100 Hz and high accuracy. If you have a big palm, it may not be comfortable for you. It doesn’t have DPI indicator so we have to move the cursor to know the current DPI settings. The mouse button has the high chance of worn out. Cable length of the mouse is 1.8m. An optimum cable length for easy transfer of data without any lag and to provide sufficient degree of freedom. Use of fiber cable increases the data transfer rate. Instant click response in milliseconds by the high-quality OMRON micro switches down its 6ft of braided, shielded fiber cable. It has got buttons (your thumb gets two).The buttons with a slightly larger surface area than another mouse provide easy to hold grip. DPI switcher can instantly toggle your resolution up or down, taking you from the fast switch with pinpoint accuracy at the moment that your game needs it. Extra weights (2.4 g * 8) this extra weight is mainly used to reduce hand jitters on frictionless surfaces and to avoid overshooting targets in stressful situations for easy and quick motion remove weights. Perfect weight for every situation by adjustable weights. The perfect response at the rate of 1 milliseconds. The middle button glow changes according to the dpi setting. Use it for playing Counter-Strike : Global Offensive, and works flawlessly. Final verdict : It's one hell of a mouse in this price range. Large mouse but flat suits only for claw grip. The anti-slip areas on the sides are made of plastic, though, the upper, facing surface is matte black . The two main buttons and middle button (scroll wheel press)are satisfying click. Whereas the side button is made of other normal plastic. The DPI can be changed on the fly and is also reflected by a color coded LED on the mouse. Braided cable is pretty flexible and well textured with gold plated USB. Practically no sound of rolling ball. Side Buttons is made of plastic and has a chance of misclick. No service center in India. This one is seriously a beast. It's one of the super cool gaming mouse with almost all the features which gives you the real gaming experience. Though it's bit expensive, it's worth the money. Check out the detailed review below! Gaming mouse with 11 control buttons. Each of them it's individually programmable based on the user needs. On-the-fly DPI is available to Quickly switch through up to 5 DPI settings (200-12,000). Customizable weights and balance that feels good while gaming.It includes(5*3.6g) weights. Easily toggle between low range 200 DPI to12,000 DPI in an instant. This mouse has fully mechanical microswitches for each mouse button. The buttons require little effort to press. The perfect design which fits in our palm and all the buttons are within the accessible zone. Free-wheel with little friction - one flick and it can keep spinning for about 35 seconds.The 'free-wheel' is just as awesome and spinny as other Logitech models. It is designed in such a way that you will accidentally tilt the scroll wheel when you mean to middle click and vice versa. The scroll wheel is made of metal and textured grooves on the scroll wheel make it feel solid. The sensor can be calibrated and customized for the surface you're using. It will track all the surface . This mouse fits to hand perfectly . its shape is magnificent, especially the slightly extended lip that supports the thumb. It even has sweat resistance to prevent the textured, hardened rubber on the right and left sides. The presence of Magnetic weight-cavity door makes easy to get the weights and adjustable weights are implemented on this mouse. The weight can be arranged in lots of formats based on the user requirement. Lighting for this mouse is very simple, only the G logo on the mouse lights up. This can be customized to be made dimmer or brighter . Like in the keyboard when that button is held down, the other buttons have a different function, and the DPI or sensitivity of the mouse. DPI Shift button helps to reduce the dpi while holding with the thumb. They can be used to toggle between 5 DPI levels of pre-selected DPI [200-12000]( G7 to reduce dpi and G8 to increase dpi). When it's unlocked, the scroll wheel will rotate infinitely for a long time, For nearly 35 seconds. The scroll wheel can be bend to left or right, to scroll horizontally in the respective direction. The Scroll wheel feels very heavy/tight, you need to give a lot of pressure to click the scroll wheel button. The grip style is not for palm-based gamers. It is for claw-style or a fingertip-style grip. Hope you have liked out detailed review on the best gaming mouse in India under different prizes. Now it's your turn to pick up the best gaming mouse considering the features, requirements, budget and other factors listed above. Soon to see you one the gaming battle! Feel free to comment below. We will get back to you soon!